Parthiv Patel (7/10): They call him pocket dynamite for a reason! His presence may not be intimidating to the bowler nor is his stature, but gets the job done swiftly. After Kohli’s early fall, AB de Villiers was finding it difficult to get going and the scoreboard had to be kept ticking. Parthiv played fearlessly from the other end, flexing his arms and deftly guiding deliveries towards third man boundary. He got an emphatic start and needed to convert into a big score, which wasn’t to be as Hardik Pandya got the better of him on 29. Virat Kohli (4/10): RCB needed a big total to pose any challenge to Mumbai Indians at the Wankhede Stadium. And to achieve so, it was pivotal for their skipper Virat Kohli to get a massive score, more importantly, a good start. His early kill is no less than a boon to the opposition and Rohit Sharma was well aware of that. The attacking strategy worked out well as MI got the big fish for 8 and made early inroads. AB de Villiers (9/10): AB de Villiers means business; he cannot be bogged down, he's invincible. That is exactly how people reckoned the superman of contemporary cricket for his insane ability to hit the cricket ball in every corner of the park. However, de Villiers has not weaved similar magic this season yet been impactful. His struggle against Bumrah with the new ball was evident, but he stuck to his guns and tried to steady the RCB ship. Once de Villiers got set, it was fireworks at the Wankhede Stadium. Marcus Stoinis (3/10): Stoinis looked bereft of oomph against the slower-one from Lasith Malinga. The expectations are high from the Australian all-rounder and has been in good touch in recent times, but needs to step up under the pump. Moeen Ali (9/10): Ali desperately needed some big runs under his belt; he has been getting starts but nothing of substance. Ali was elevated in the batting order to maintain the right-hand left-hand combination and along with de Villiers stitched a much-needed partnership. This knock would have infused a lot of momentum and confidence in Ali especially with RCB in need of winning each and every game. He produced an absolute ripper to send a well set Rohit back to the pavilion and bowled extremely well to keep things tight throughout his spell. Akshdeep Nath (3/10): With AB firing with all guns, all that Akshadeep Nath had to do was get him back on strike. He did rotate the strike well before, but the confusion in the final over made him the protagonist for RCB fans. AB needed to get back on strike and in rush of blood, perhaps, AB was run out at the non-striker’s end. 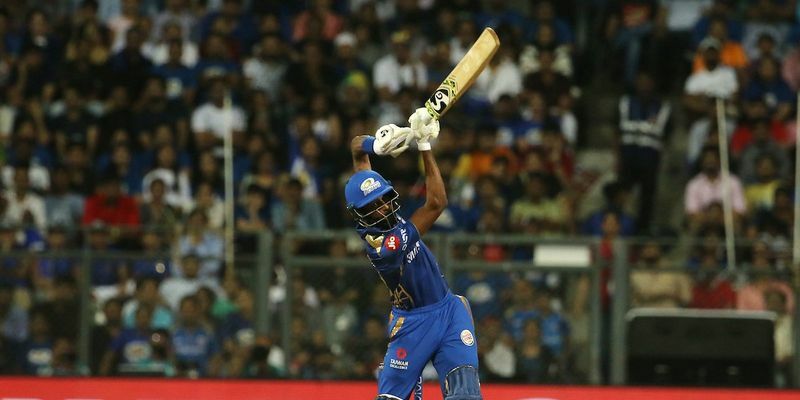 Nevertheless, with Akshadeep being the only batsman left, it was his duty to finish off the innings and get RCB last the 175-run mark to say the least, which he failed to do. Pawan Negi (5/10): He struggled with the bat, but bowled well in patches. With the pitch offering immense turn, Negi did a decent job till his last over, where Hardik smashed him all over the park, bringing back the memories of THAT over in 2015. It would be cruel to blame Negi as Pandya was batting in the top gear and Negi couldn’t have done a lot about it. Umesh Yadav (3/10): Umesh oozes with intimidating pace and bounce, but lack of control has been one of the major reasons behind him being expensive. And tonight was no different. His spell oscillated between mediocrity and occasional sparks of brilliance. He was unfortunate at times, but consistency is what he should be looking for at the most. Yuzvendra Chahal (8/10): On numerous occasions, Yuzvendra Chahal has been the lone warrior with the ball for RCB. Chahal showed his class when he outfoxed Ishan Kishan with his guile. He exploited the conditions well to live up to his reputation and did everything in his reach to bring RCB back into the game. Navdeep Saini (4/10): Saini has been one of the most impressive bowlers among the Indian crop. His raw pace has garnered attention and could be a fruitful investment to make. In this innings, there was lack of application from Saini, he erred in length and went for runs. Saini earns an extra point for taking the fabulous catch of Suryakumar Yadav under the pump. Mohammed Siraj (4/10): RCB have high hopes on Mohammed Siraj, but more often than not he has failed to deliver. He was erratic, didn’t bowl to his strength and leaked runs in crucial junctures.